Planes need a flat- well, mostly flat- place to land.People need a place to assemble before hopping on that next flight.So why not do it all with some splendor and magnificence?We run down the 8 most impressive airports in the world! 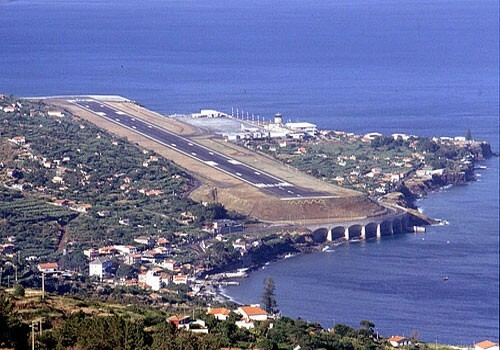 Madeira Airport wasn’t much to rave of- just a small island airport with a small runway.Even after a short extension in 1977, there was need for some more substantial space, but the airport was situated at island’s edge leaving less room to change.Then, in 2000, the airport roughly doubled its runway length in the craziest way possible:building an extension atop 70-foot-tall columns that extend into the ocean. The runway is part island and part bridge. If you consider just land area, DENVER INTERNATIONAL AIRPORT is the largest in the United States at more than 33,000 acres, twice the size of MANHATTAN. Construction for the 1995 opening of the airport removed about 110 million cubic yards of earth, making way for an underground tunnel system to move baggage, a 1.5 million-square-foot terminal, the nation’s second-tallest control tower, and the nation’s longest runway at 16,000 feet. And then there’s the 32-foot-tall statue of a blue bronco. You needn’t be a pilot or a passenger to experience the awe of this airport experience. 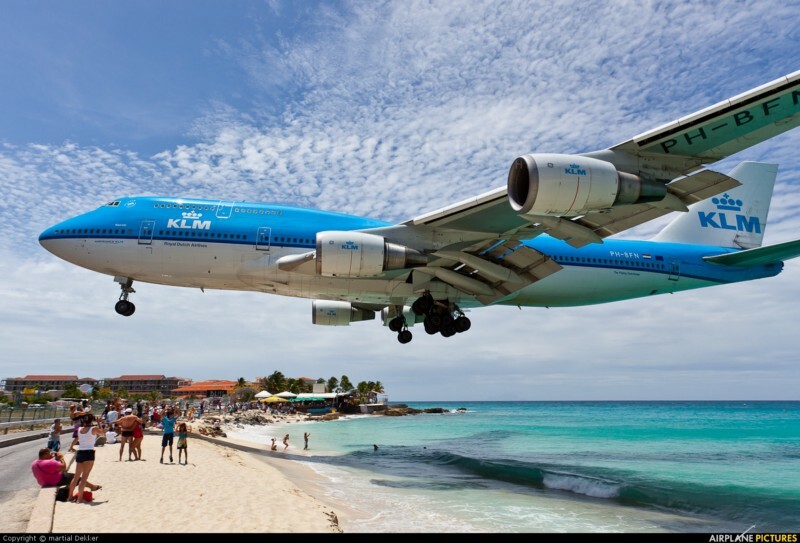 As beach lovers revel in the soft sand blue ocean waters on the island of SAINT MARTIN, they get a close and personal encounter with the jets nearly scraping the sand off their sun umbrellas. The approach to Runway 10 right brings the jets right on top of MAHO BEACH. 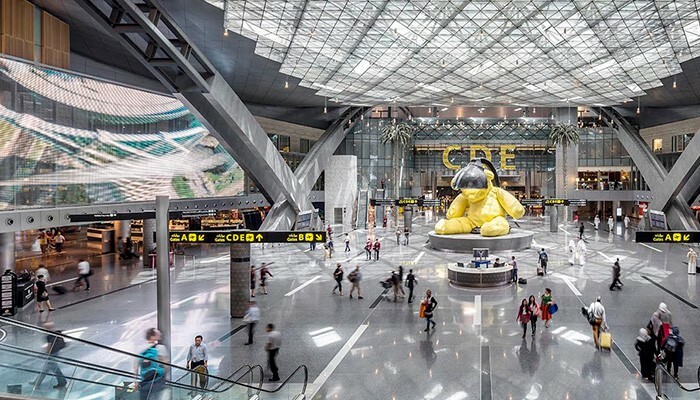 The $16 billion it took to build HAMAD INTERNATIONAL AIRPORT in QATAR buys a lot more than a few runways. Opened in 2014 and the building spanning over 5,500 acres, Qatar’s new main airport has everything from a 200-room hotel to a swimming pool. There’s shopping and entertainment of all sorts, extra wide concourses with picturesque architecture, and a 23 foot-tall sculpture of a yellow bear. Spanning more than 2 miles in length, BEIJING’S TERMINAL 3, opened in 2003, is one of the longest buildings in the world. 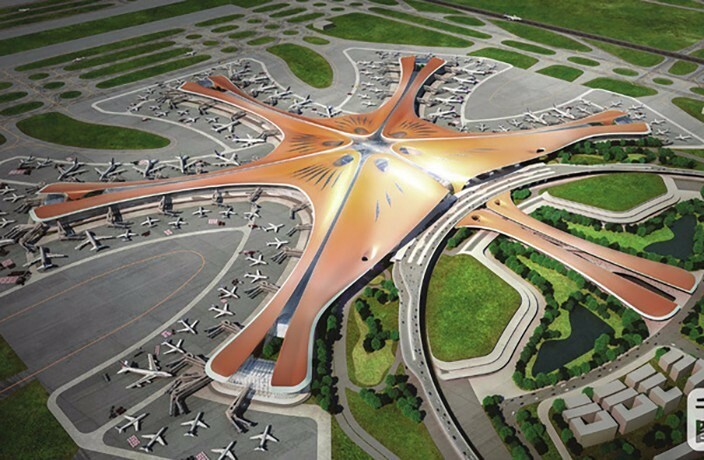 At 14 million square feet, the terminal designed by FOSTERS + PARTNERS was meant to symbolize a dragon and use colors native to China both inside and out. The sustainable lighting and natural airflow design uses a roof that allows sunlight through, bouncing red and yellow lights on the interior. Other portions of the roof include a garden visible to the planes from above. 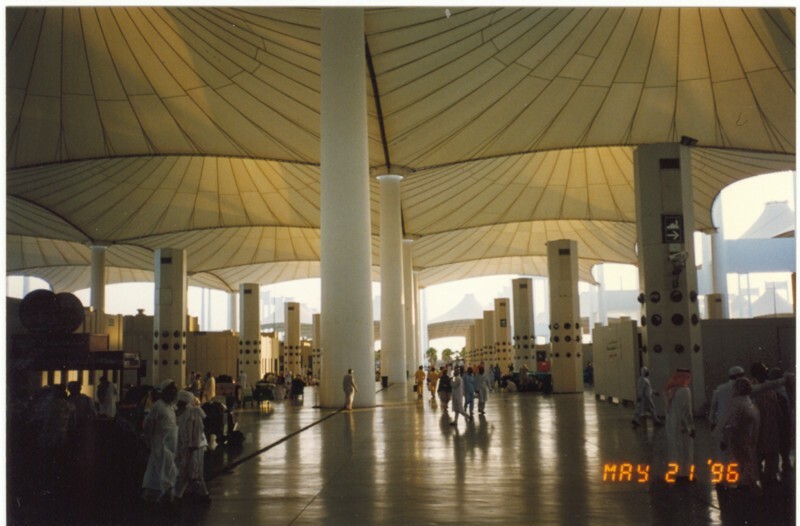 In this closest airport to Islam’s holy city of MECCA, a structural engineer HORST BERGER designed a tent-shaped roof that has pulled in numerous design awards. A mix of air-conditioned services and open-air concepts couple with this tent roof to bring in natural air to pilgrims while shielding them from the hot desert sun. The long history of one of EUROPE’S largest airports started in 1927. 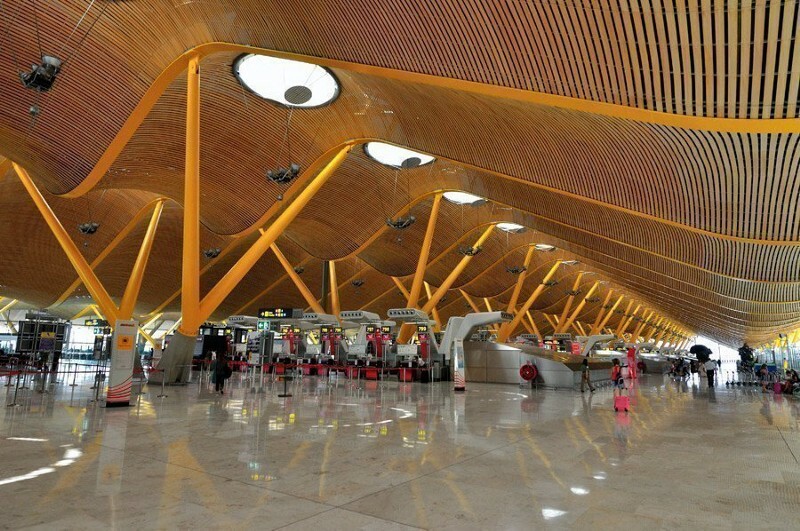 But the opening of TERMINAL 4 in 2006 gave MADRID a truly new design in airports with an architectural ceiling filled with domes to allow natural light to fill the halls. Using glass panes instead of walls, sloping ceilings, and artistic pillars, the light-inspired design gives a new feel to a historic location. The lounge called THE ROCK that has people taking notice of this NEW ZEALAND airport. 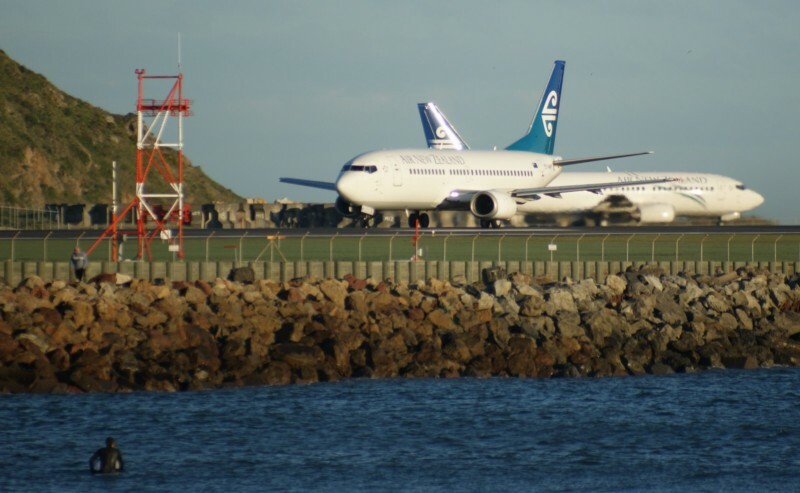 With steel beams jutting in all directions, glass fixtures, and the rock-like design that doesn’t match a typical airport motif, this section of WELLINGTON’S airport doesn’t look much like your typical transit hub. The giant GOLLUM sculpture inside a terminal doesn’t hurt, either. If you don’t have the time to head out, close your windows, play some smooth music and pour yourself a drink.